July 28, 2001 – Maryland Championship Wrestling in Bel Air, Maryland with an announced crowd of 551: Julio Dinero b Chad Bowman, Qenaan Creed b Marcus Jordan, Gillberg b Dino Devine, Billy Redwood b 2 Dope, Bruiser b Redwood, Alexis Laree b Tara, The Holy Rollers (Earl The Pearl and Ramblin Rich) b Christian York and Joey Matthews and Ronnie Zukko and Romeo Valentino in a 3-WAY to retain the Tag Team titles, Adam Flash b Jimmy Cicero to retain the Heavyweight title, Crowbar b Steven Richards. Richards was a late sub for Jimmy Snuka. January 30, 2002 – Maryland Championship Wrestling drew an estimated 1,200 last night for a TV taping and presented a Memorial Award with Christian York and Joey Matthews accepting on behalf of the late Russ Haas. The Backseat Boys (Trent Acid and Johnny Kashmere) b The Holy Rollers (Earl The Pearl and Ramblin Rich) and Danny Doring and Chris Chetti in a 3-WAY Tag Elimination match, Julio Dinero b Billy Redwood, Romeo Valentino b Ronnie Zukko, York and Matthews and Jimmy Cicero b Chad Bowman and Dino Divine and Kelly Bell, Qenaan Creed b Joel Maximo and Amazing Red in a 3-WAY (Jose Maximo was out of action with a blown knee from the weekend), Marcus Jordan b Doug Delicious, Orlando Jordan b Bruiser-DQ, Adam Flash b Eddy Guerrero in 16:00. Said to be the best Flash has ever looked, probably due at least in part to his opponent. Orlando Jordan has been spending time in Miami training with Rock. February 16, 2002 – Maryland Championship wrestling in Harrington, Delaware for a TV taping: Marcus Jordan b Joey Matthews to retain the MCW Television title, Qenaan Creed b Ronnie Zukko to keep cruiserweight title, Adam Flash b Julio Dinero, Red b Romeo Valentino, Chad Bowman and Dino Divine b Cowboy and Van Hammer, Head Banger Mosh b Genesis, Christian York and Joey Matthews and 2 Dope and Sydeswype b The Holy Rollers (Earl The Pearl and Ramblin Rich) and Doug Delicious and Marcus Jordan, Chris Chetti and Danny Doring b The SAT (Joel and Jose Maximo) and The Briscoe Brothers (Mark and Jay Briscoe) in a 3-WAY, Tara b Alexis Laree, Bruiser b Orlando Jordan to regain MCW heavyweight title, Ihup Khamals (nice name) won rookie Battle Royal. SATs were double booked last night, so no-showed the USA Pro show in Deer Park, NY. March 27, 2002 – Maryland Championship Wrestling before a whopping 1,659 fans in Glen Burnie, Maryland: Amazing Red b Qenaan Creed to win the Cruiserweight title, Genesis b Julio Dinero, Ronnie Zukko b Quiet Storm, Christian York and Joey Matthews b Backseat Boyz, The Holy Rollers (Earl The Pearl and Ramblin Rich) b Danny Doring in handicap match, Ghetto Mafia (2-Dope and Sydeswype) b Models Inc., Romeo Valentino b Joel Maximo and Jose Maximo in a 3-WAY, Bruiser b Adam Flash, Gillberg and Steve Wilkos (security guy from Jerry Springer) b Chad and Dino Divine. April 20, 2002 – Maryland Championship Wrestling in Harrington, Delaware for a TV taping: Julio Diner b Quiet Storm, Danny Doring b Genesis, Marcus Jordan b Romeo Valentino to retain the MCW Television title, Christian York and Joey Matthews b The Backseat Boys and The Holy Rollers (Earl The Pearl and Ramblin Rich) and Ghetto Mafia (2-Dope and Sydeswype) in a 3-WAY to retain the MCW Tag Team titles. Red b Qeenan Creed in ladder match to retain the MCW Cruiserweight title, Jose and Joel Maximo b Mark and Jay Briscoe, The Bruiser b Adam Flash to retain the MCW Heavyweight title. May 22, 2002 – Maryland Championship Wrestling in Glen Burnie, Maryland for a TV taping for Rage TV before 550 to 1,200 fans (well, that was the range sent in from various reports): Chris Chetti and Danny Doring b Ramblin Rich and Earl the Pearl, Adam Flash b Julio Dinero, Joel and Jose Maximo b Chris Divine and Quiet Storm, Amazing Red b Qenaan Creed, Romeo Valentino b Marcus Jordan to win TV title, Dino and Chad b Joey Matthews and Christian York to win the MCW Tag Team titles, Ronnie Zukko won a Bunkhouse Stampede to win title shot later in the show, Tara b Sherri Martel, Ricky Morton and Joey Matthews and Christian York b Earl the Pearl and Ramblin Rich and Genesis, Bruiser NC Shane Douglas with Ricky Steamboat as ref. Both former WCW tag champs attacked Bruiser and the locker room broke it up. They honored Martel, Steamboat, Morton and Bobby Eaton at the show. June 21, 2002 – Maryland Championship Wrestling as part of a show in conjunction with the release of their music CD: Genesis b 2 Dope, Romeo Valentino b Qenaan Creed, Chad and Dino b Ramblin Rich and Genesis, Bruiser b Ronnie Zukko, Kelly Bell b Valentino. July 17, 2002 – Maryland Championship Wrestling’s Shane Shamrock Memorial Cup in Glen Burnie, Maryland before about 650 fans: Xavier b Quenaan Creed, Adam Flash b Johnny Kashmere, Reckless Youth b Danimal (Danny from Tough Enough 2), Trent Acid b Nick Berk, Red b Quiet Storm, Chad and Dino retained MCW tag titles over Jose and Joel Maximo, Danny Doring b Christian York to retain the Florida title, Romeo Valentino and Candie b Ronnie Zukko and Tara, Bruiser b Chris Chetti to retain the MCW Heavyweight title, Reckless Youth b Amazing Red and Trent Acid and Xavier and Adam Flash and Joey Matthews (last year’s winner) in a 6-WAY Elimination match to take the Cup (came down to Red and Youth). They aired a lot of footage of Brian Hauser, who worked for the group as Shane Shamrock. September 18, 2002 – Maryland Championship Wrestling before about 425 fans: Romeo Valentino b Kelly Bell, Church and Genesis b Qenaan Creed and Brock Singleton, Alexis Laree and Julio Dinero b Adam Flash in a handicap match, Doug Delicious and Sydeswype b 2 Dope and Ronnie Zukko, Candi b Angela, The Holy Rollers (Earl The Pearl and Ramblin Rich) b Christian York and Joey Matthews (losers cannot team up ever again in MCW), Bruiser b Hack Myers to retain the MCW Heavyweight title, Johnny Kashmere b Trent Acid and Reckless Youth in a 3-WAY, Chad and Dino b Briscoe Brothers, Bruiser and Valentino NC Danny Doring and Chris Chetti when Chetti turned on Doring. September 25, 2002 – Maryland Championship Wrestling Rage TV tapings in Baltimore, Maryland: Chad and Dino Devine b The Holy Rollers (Earl The Pearl and Ramblin Rich), Alexis Laree b Angela, Queenan Creed b Genesis, 2 Dope b Sydeswype, Joey Matthews b MCW champ Bruiser-DQ. December 4, 2002 – Maryland Championship Wrestling in Glen Burnie, Maryland before 850 fans: Amazing Red was stripped of his MCW Cruiserweight belt because of his TNA commitments. Sideswipe won a 5-WAY Elimination match to win the MCW Cruiserweight title, Bruiser b Joey Matthews, did an interpromotional angle with former rivals MEWF, with MEWF guys being brought in as the faces. January 29, 2003 – Maryland Championship Wrestling in Glen Burnie, MDaryland drew 400 fans for their awards show: Reckless Youth b Derek Wayne, Buzz Stryker b Brock Singleton, Gillberg b Lucifer, Models Inc. and Genesis b The Holy Rollers (Earl The Pearl and Ramblin Rich), Joey Matthews b Romeo Valentino, Christian York b Julio Dinero and Qeenan Creed in a 3-WAY (to set up a match with TV champ Joey Matthews on the next show) in what was said to be a great match, 2 Dope b Adam Flash by DQ, Alexis Laree b Angela, Danny Doring b Bruiser to win MCW title after interference by Chad Bowman and Dino Devine. March 12, 2003 – Maryland Championship Wrestling in Glen Burnie, Maryland before 500 fans: Reckless Youth and Travis Finity b Qenaan Creeed and Rob Eckos, Brock Singleton b Crazy Shay, Dino Divine b Billy Redwood, Adam Flash b 2-Dope to win cruiserweight title, Derek Wayne and Buzz Stryker b The Holy Rollers (Earl The Pearl and Ramblin Rich), Joey Matthews b Christian York, Chad Bowman b The Bruiser, Alexis Laree b Angela, Doug Delicious b Buff Bagwell (this was funny because a lot of people booed and yelled boring at Bagwell for his stalling, then got in line for the Polaroid gimmicks), Danny Doring b Romeo Valentino. May 15, 2003 – Maryland Championship Wrestling in Glen Burnie, Maryland before 450 fans: Dusty Rhodes was announced before the show as a no-show, but that Lita was making an appearance to replace him. She refereed later in the show. Reckless Youth b Adam Flash in 2/3 falls to win cruiserweight title, Church and Brock Singleton b Dope and Travis Finity, Doug Delicious won TV title from Joey Matthews, Lucifer and The Holy Rollers (Earl The Pearl and Ramblin Rich) won a six-team blindfolded match with Lita as referee, Christian York b Julio Dinero, Chad Bowman and Dino Divine b Romeo Valentine and Bruiser, Alexis Laree b Angela, Kelly Bell won Stampede Battle Royal, Danny Doring b G-Dawg, Danny Doring b Qenaan Creed, Danny Doring b Corporal Punishment (Lita interfering) to run the gauntlet. July 16, 2003 – Maryland Championship Wrestling – 5th Annual Shane Shamrock Memorial Cup: The Last Dance in Glen Burnie, Maryland before 1,100 fans: Jay Briscoe b Mark Briscoe and Jose Maximo and Joel Maximo in a Qualifying match, Ghetto Mafia (2-Dope and Sydeswype) b The Slackers (Chad Bowman and Dino Divine) and Team Punishment (Buzz Stryker and Derek Wayne) in a 3-WAY, Doug Delicious b Marcus Jordan and Bob Starr in a 3-WAY, Chris Divine b Matt Stryker and Rob Eckos in a 3-WAY, Gillberg and Van Hammer and Headbanger Thrasher and Kelly Bell b Earl The Pearl and Rich Myers and Brock Singleton and Genesis, Michael Lockwood (Crash Holly) b Adam Flash in a Qualifying match, The Rookie Battle Royal was a No Contest when The Bruiser and Billy Redwood and Royce Profit interfered, Julio Dinero and Jimmy Cicero w/Alexis Laree b The Bruiser and Billy Redwood, Danny Doring (MCW champ) b Romeo Valentino (MEWF champ) and Chris Chetti to unify the MCW and MEWF titles, Scott Chong b Larry Kennedy Phillips by Submission, Christian York won the Shane Shamrock Cup and unified the MCW and MEWF Cruiserweight titles (Match included: Joey Matthews, Reckless Youth, Qeenan Creed, Jay Briscoe and Crash Holly). February 26, 2006 – Maryland Championship Wrestling – Resurrection in Dundalk, Maryland: Derek Frazier and Andrew Ryker b Ruckus and Queenan Creed, Derek Frazier b Andrew Ryker to capture the Cruiserweight title, Josh Daniels b Danny Jacks (MCW Title Tournament), Genesis b The Blue Meanie (MCW Title Tournament), Julio Dinero b Bruiser (MCW Title Tournament), Danny Doring b Crowbar (MCW Title Tournament), The Slackers (Chad Bowman and Dino Divine) b The Ghetto Mafia (2-Dope and Sydeswype) and The Holy Rollers (Earl The Pearl and Ramblin Rich w/Jim Christian) and Jason Static and Judas Young in a 4-WAY to win the Tag Team titles, Samoa Joe b Roderick Strong in a Special Challenge match, The James Gang (BG James and Kip James) b (Chad Bowman and Dino Divine) and The Holy Rollers (Earl The Pearl and Ramblin Rich w/Jim Christian) in a 3-WAY to win the Tag Team titles when referee Earl Hebner turned heel and fast counted. The other referee then put Earl Hebner in a sharpshooter and made him tap out. (In attendance: WWE’s Randy Orton, Rey Mysterio, Mark Henry, Jonathan Coachman, Gregory Helms, and MCW alumni Matt Hardy, Joey Mercury, and Orlando Jordan). March 26, 2006 – Maryland Championship Wrestling – The Phenomenal Four in Dundalk, Maryland before 700 fans: Jason Static b Bruiser by DQ, Ghetto Mafia (2-Dope and Sydeswype) b Andrew Ryker and Dan Pembrooke, Buzz Stryker b Tyler Hilton, Julio Dinero b Danny Doring, Genesis b Josh Daniels, Queenaan Creed b Doug Delicious, Derek Frazier b Ruckus to retain the Cruiserweight title, Earl Hebner b D. Edwards in a Referee Submissions match (referee Brian Hebner called for the bell while Earl had an ugly looking sharpshooter on), Julio Dinero b Genesis in a Tournament Final to win the MCW title, Danny Doring and Danny Jax b The Holy Rollers (Earl The Pearl and Ramblin Rich) and (Chad Bowman and Dino Divine) and The James Gang (BG and Kip James) to win the Tag Team titles, Christopher Daniels b A.J. Styles to retain the TNA X title. April 22, 2006 – Maryland Championship Wrestling – Guerrilla Warfare in Odenton, Maryland at the Fort Meade Army Base: Doug Delicious and Jason Static b Buzz Stryker and Kelly Bell, The Holy Rollers (Earl The Pearl and Ramblin Rich) b The Slackers (Chad Bowman and Dino Divine) in a Lumberjack match, Derek Frazier b Qenaan Creed to retain the Cruiserweight title, Danny Doring and Danny Jaxx b Ghetto Mafia (2-Dope and Sydeswype), Tyler Hilton vs Buck Chyld ended in a No Contest when Bruiser and Genesis interfered, Derek Frazier b Andrew Ryker to retain the Cruiserweight title, Julio Dinero b Josh Daniels to retain the MCW Heavyweight title, Team 3-D (Brothers Ray and Devon) b Bruiser and Genesis in a No Holds Barred Baltimore Street Fight. May 7, 2006 – Maryland Championship Wrestling – Xtreme Measures in Dundalk, Maryland: Bruiser and Genesis b Tyler Hilton and Zach Fury, “Mad Dog” Buzz Stryker w/Phat Blues Kelly Bell b Andrew Ryker, Ruckus b Qenaan Creed, The Slackers (Chad Bowman and Dino Divine w/Angela) b The Holy Rollers (Earl The Pearl and Ramblin Rich w/Jim Christian) in an Evening Gown Match, Jason Static and Scott Fowler w/Candie b Danny Doring and Danny Jaxx to win the Tag Team titles, Diamond Dallas Page b Chris Kanyon, D.Edwards and Dave the Wave b Earl and Brian Hebner in a Battle of the Referees match, Chris Sabin b Derek Frazier to win the Cruiserweight title, Julio Dinero w/Miss Michelle b Brother Runt to retain the MCW title. Batista was there to sign autographs. July 9, 2006 – Maryland Championship Wrestling – Shane Shamrock Memorial Cup in Dundalk, Maryland: Derek Frazier b Tom Carter and Bad Boy Luke in a 3-WAY (1st Round), Jerry Lynn b Ramblin’ Rich (1st Round), Chris Sabin b Alex Shelley (1st Round), Steve Anthony b Qenaan Creed (1st Round), Petey Williams b Josh Daniels (1st Round), Ruckus b Sonjay Dutt (1st Round), Adam Flash vs Corporal Punishment ended in a No Contest, April Hunter and Talia Madison got into a fight with Candie and Angela, Ruckus b Derek Frazier and Jerry Lynn and Chris Sabin and Steve Anthony and Petey Williams in a 6-WAY Final to with the Shamrock Cup and also win Sabin’s MCW Cruiserweight title (1999 Cup Winner Christian York was there to present the winner with the Trophy), Julio Dinero said if anyone could beat him, they’d get the MCW title. Adam Flash, who wasn’t even in the match, snuck into the ring and pinned Dinero even though a match with other people was going on. Adam Flash is the NEW MCW Heavyweight Champion! – – Notes: Jerry Lynn suffered a minor injury on Sunday at the Maryland Championship Wrestling show when he fell onto the floor and up against the glass display case carrying the MCW cruiserweight title belt, cutting open his right hand. The timekeeper and other officials wrapped it up with duct tape. Lynn was only in the match a few more minutes, but the athletic commission was watching closely, as they are very strict about blood being spread in matches. Sonjay Dutt may have injured his elbow, as he was favoring it after his match backstage. Alex Shelley vs. Chris Sabin was the match that stole the show. July 22, 2006 – Maryland Championship Wrestling – Red, White, Black and Bruised in Odenton, Maryland at the Fort Meade Army Base: DJ Hyde b The Destroyer, The Bruiser b Jason Static by DQ when Tyler Hilton interfered, Christian York (out of retirement) b Jason Static and Tyler Hilton in a 3-WAY, Josh Daniels b Eddie Edwards and Queenan Creed and Danny Jaxx in a 4-WAY to retain the Rage Television title, Angela and Candie b April Hunter and Kylie Pierce, Ruckus b JD Michaels to retain Cruiserweight title, The Slackers (Chad Bowman and Dino Divine) b The Holy Rollers (Earl The Pearl and Ramblin Rich) forcing the Holy Rollers to disband and Earl The Pearl to leave MCW, Sonjay Dutt b Derek Fraizer, Christian Cage b Monty Brown, Adam Flash b Coporal Punishment (Dan McDivett) in a brutal Fans Bring the Weapons match to retain the MCW Heavyweight title. September 10, 2006 – Maryland Championship Wrestling – Tribute To The Legends in Dundalk, Maryland: “The Technician” Tom Carter b Queenan Creed, Bruiser and Genesis b Scott Fowler and Jason Static to win the Tag Team titles, April Hunter b Angela, The Slackers (Chad Bowman and Dino Divine w/Angela) and Tito Santana b Phat Blues Security and Buck, Ruckus b Eddie Edwards to retain the Cruiserweight title, Danny Jaxx b Josh Daniels to win the Rage Television title (A masked man in Danny Doring attire interfered at the end of this match), “Corporal Punishment” Dan McDevitt and Chaz Warrington and Orlando Jordan w/Chastity b DJ Hyde and Alter Boy Luke and J.D. Michaels w/April Hunter, Adam Flash b Julio Dinero to retain the MCW Heavyweight title (After the match, Orlando Jordan made the save for Julio Dinero and Miss Michelle and challenged Adam Flash to a Heavyweight title match on September 30), Derek Frazier b AJ Styles. October 29, 2006 – Maryland Championship Wrestling – Monster Mash in Dundalk, Maryland before 800 fans: Delirious b Nicky Benz, Daizee Haze b Kylie Pierce, Rehobeth Beach Club (Tyler Hilton and Zachary Shane and Link Kory) b [INSERT] and [INSERT] and [INSERT], The Slackers (Chad Bowman and Dino Divine) b Buck Chyld and Doyle Day, Chris Sabin b Ruckus to win the Cruiserweight title, Mike Vogel and Bruiser and Genesis b Phat Blues Inc., Danny Jaxx b “Die Hard” Eddie Edwards to retain the Television title, Christian York and Corporal Punishment b Adam Flash and Luke Hawx, “Samoan Submission Machine” Samoa Joe b “Fallen Angel” Christopher Daniels. November 10, 2006 – Maryland Championship Wrestling in Harrington, Delaware: Christian York b Nicky Benz, Jason Static b Steve Anthony, After a DCW six man tag team match the Rehobeth Beach Crew beat down the winners in a non match, Angela b Daizee Haze and Kylie Pierce in a 3-WAY, Alex Shelley b Derek Frazier, “Lunchbox” Dino Divine b D.J. Hyde, Blue Meanie b CJ O’Doyle, Chris Sabin b Delerious, Bruiser and Genesis b The Gemini Trojans (Buck Chyld and Doyle Day), The Dudley Boyz and Corporal Punishment b Adam Flash and The Ghetto Mafia (2-Dope and Sydeswype). November 11, 2006 – Maryland Championship Wrestling in North Carrol, Maryland: The Blue Meanie b Buzz Stryker, Derek Frazier b Steve Anthony, Jason Static b Norman Smiley, Bruiser and Genesis b Rehobet Beach Club and Phat Blues Security and The Slackers (Chad Bowman and Dino Divine) in a 4-WAY, John Nauth and Jim Stall (2 local football coaches) b Buck Chyld and Doyle Day, Angela b Kylie Pierce with Sherri Martel as referee, Alex Shelley b Chris Sabin to win the Cruiserweight title, Team 3-D and Christian York b Ghetto Mafia (2-Dope and Sydeswype) and Adam Flash in a Street Fight. December 28, 2006 – Maryland Championship Wrestling – Holiday Homecoming in Glen Burnie, Maryland: The Sugarmask b DJ Hyde, The Sugarmask unmasked himself to be Danny Doring, Danny Jaxx b Stevie Riggs, Angela b Lana in a Santa’s Helper Match, Doyle Day and Buck Chyld b The Holy Rollers (Earl The Pearl and Ramblin Rich) in a #1 Contenders match, Nicky Benz verbally assaulted Chasity, Raven w/Chastity b Nicky Benz, Alex Shelley b Ruckus to retain the Cruiserweight title, Kelly Bell and Buzz Stryker b Bruiser and Genesis to win the Tag Team titles, The Ghetto Mafia (2-Dope and Sydeswype) b The Slackers (Chad Bowman and Dino Divine), Adam Flash b Christian York to retain the MCW Heavyweight title. February 25, 2007 – Maryland Championship Wrestling – Anniversary Show in Dundalk, Maryland at the MCW Arena: The Ghetto Mafia (2-Dope and Sydeswype) b The Holy Rollers (Earl The Pearl and Ramblin Rich) in a #1 Contenders match, The Slackers (Chad Bowman and Dino Divine) b Stevie Riggs and LK, Tyler Hilton b Danny Jaxx to win the MCW Rage Television title, Danny Doring b The Fabulous Fabian (formerly Christian York) in a #1 Contenders Match, Patrick Brink (formerly Genesis) b D.J. Hyde, The Best of Both Worlds (Doyle Day and Buck Chyld) b Phat Blues Inc. (Kelly Bell and Buzz Stryker) by Countout to retain the MCW Tag Team titles, Alex Shelley vs Ruckus vs Derek Frazier ended in a No Contest, Blackout (Ruckus and Sabian w/Robbie Mireno) b Alex Shelley and Derek Frazier, Danny Doring and Abyss b Adam Flash and The Bruiser with Amy Dumas (formerly Lita) as referee. 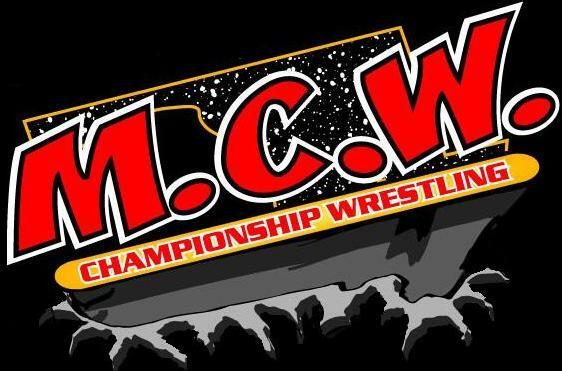 March 25, 2007 – Maryland Championship Wrestling – March Madness: When Monsters Collide in Dundalk, Maryland at the MCW Arena: L.K. of the R.B.C. b “Lunchbox” Dino Devine of The Slackers (Chad Bowman and Dino Divine), Plat Blues (Kelly Bell and Buzz Stryker) b The Ghetto Mafia (2-Dope and Sydeswype), The Holy Rollers (Earl The Pearl and Ramblin Rich) b The Midnight Idols (Nicky Benz and The Fabulous Fabian [formerly Christian York]), Chad Bowman of The Slackers b Tyler Hilton of the R.B.C. to win the MCW Rage TV title, Joker b D.J. Hyde, Andrew “Test” Martin b King Kaluha (sub for Jimmy Cicero), Derek Fraizer b Alex Shelley to win the MCW Cruiserweight title, Adam Flash b Danny Doring to retain the MCW Heavyweight title, LAX (Homicide and Hernadez) b BLKOUT (Ruckus and Sabian), Abyss b The Bruiser with Patrick Brink as special guest referee. April 21, 2007 – Maryland Championship Wrestling – Aggravated Assault 2007 in Bel Air, Maryland at the Arena Club with a reported attendance of over 1,000: Blackout (Ruckus and Sabian w/Robby Minero) b Phat Blues INC (Kelly Bell and Buzz Stryker) and The Best of Both Worlds (Doyle Day and Buck Chyld) in a 3-WAY Tag match to win the MCW Tag Team titles, The Rehobeth Beach Club b The Slackers and Doink, Rhino vs. Jimmy Cicero didn’t happen as Cicero “pulled his hamstrings” seconds into the match, Rhino b The Bruiser by DQ after Cicero interfered, The Holy Rollers b D2 (Danny Doring and Danny Jaxx), Joey Matthews b Alex Shelley, Voodoo Kin Mafia (B.G. and Kip James) b The Ghetto Mafia, Gail Kim and Angela b Tracy Brooks and Kylie Pierce, Rhino and Joey Matthews and Pat Brink b Creative Control (Bruiser and Jimmy Cicero and Adam Flash) in a No Holds Barred match. – Additional Notes: The Maryland State Athletic Commission wouldn’t allow Test to wrestle in the main event because the doctors wouldn’t clear him. The report we got was it was due to a chest cold, but that certainly sounds weird. He was signing autographs at the show and talking with fans. May 6, 2007 – Maryland Championship Wrestling – Xtreme Measures II in Dundalk, Maryland at the MCW Arena: BLKOUT (Ruckus and Sabian) b The Rehoboth Beach Crew (LK and Stevie Riggs) to retain the MCW Tag Team titles, The Ghetto Mafia (Dope and Creed) b The Midnight Idols (Nicky Benz and The Fabulous Fabian), Joey Matthews b Derek Frazier, (However, by order of Creative Control, the match was restarted), Derek Frazier b Joey Matthews, Phat Blues Inc. (Kelly Bell and Buzz Stryker) b The Best of Both Worlds (Doyle Day and Buck Chyld) in a Double Dog Collar match, CJ O’Doyle b Ricky Reyes, Danny Doring b Adam Flash in a No Holds Barred match to win the MCW Heavyweight title (However, Kimberley McDevitt changed the rules of the match, eliminating the “No Holds Barred” stipulation, reversed the decision, and awarded the match and the title to Adam Flash), Tyler Hilton b Chad Bowman to win the MCW Rage TV title, Team 3-D and Patrick Brink b Creative Control (Tom Brandi and The Bruiser and Jimmy Cicero). June 9, 2007 – Maryland Championship Wrestling/UWF – in Fort Meade, Maryland before 500 fans: Danny Doring and Pat Brink b The Ghetto Mafia, Adam Flash b Maven Huffman, Blackout (Ruckus and Sabian) b Arrogance (Scott Lost and Chris Bosh) and Team MACKtion (T.J. Mack and Kirby Mack), Chris Sabin b Sonjay Dutt, Christopher Daniels b Joey Ryan, Team 3-D (Brothers Ray and Devon) and Sabu b Steve Corino and Rick Steiner and Ricky Landell. July 8, 2007 – Maryland Championship Wrestling – 7th Annual Shane Shamrock Memorial Cup in Dundalk, Maryland before 800 fans: “The Fallen Angel” Christopher Daniels b “The Black Machismo” Jay Lethal (1st Round), Josh Daniels b Derek Frazier (1st Round), Delirious b Christian York (1st Round), Human Tornado b Azriel (1st Round), Sonjay Dutt b “Die Hard” Eddie Edwards (1st Round), Adam Flash vs. Danny Doring ended in a No Contest, Joey Matthews b Adam Flash to win MCW Heavyweight title, “The Real Deal” Patrick Brink b The Bruiser in a No-Holds Barred match, Creative Control (Jimmy Cicero and Tom Brandi) won a Tag Team Battle Royal (last eliminating The Ghetto Mafia), Josh Daniels b Christopher Daniels and Delirious and Human Tornado and Sonjay Dutt and Ruckus in a 6-WAY Final to win the Shamrock Cup in almost 30-minutes. September 9, 2007 – Maryland Championship Wrestling – Kickoff Chaos in Dundalk, Maryland at the MCW Arena: Ryan McBride and Teddy Stigma b Judas Young and Champ Champaigne, Christian York b Nicky Benz, The Bruiser b “Lunchbox” Dino Divine, “The Real Deal” Patrick Brink b Tyler Hilton to win the MCW Rage TV title, The Ghetto Mafia (Dope and Creed) b BLKOUT (Ruckus and Sabian) to win the MCW Tag Team titles, MCW Cruiserweight Champion Derek Frazier vs. Josh Daniels ended in a time limit draw, Danny Doring and Jeff Blackshear (former Baltimore Ravens player) b Buzz Stryker and Doyle Day and Buck Chyld, Joey Matthews b Adam Flash to retain the MCW Heavyweight title. December 26, 2007 – Maryland Championship Wrestling – Holiday Homecoming 2007 in Dundalk, Maryland at the MCW Arena: Devon Moore b Sabian, Joseph Brooks b Champ Champaigne, The Ghetto Mafia (2-Dope and Qenaan Creed) b The Headliners (Ramblin Rich and Jimmy Jannetty) to retain the MCW Tag Team titles, Ruckus b Chad Bowman, Tyler Hilton b Patrick Brink to win the MCW Rage TV title in both men’s last match in MCW, Josh Daniel b Derek Fraizer (injured) to win the MCW Cruiserweight title, Christian York and Joey Matthews b Tom Brandi and Adam Flash, Christian York b Joey Matthews to win the MCW Heavyweight title, The Sandman won a Battle Royal, Danny Doring b Danny Jaxx, Corporal Punishment (owner Dan McDevitt) b Zachary Shane in an 8th Avenue Street Fight. February 24, 2008 – Maryland Championship Wrestling in Dundalk, Maryland at the MCW Arena: The Rehobeth Beach Crew b Jimmy Starz and Champ Champaign, Josh Daniels b Devin Moore to retain the MCW Cruiserweight title, Danny Doring b Bruiser by reversed decision, Adam Flash b Tom Brandi by DQ, Ryan McBride and Teddy Stigma and Ricky Morton b The Headliners (Ramblin’ Rich and Jimmy Jannety), Ruckus b Sonjay Dutt, The Ghetto Mafia b Zachary Shane and Johnny Hardwick to retain the MCW Tag Team titles, Christian York b Joey Matthews to retain the MCW Heavyweight title. April 5, 2008 – Maryland Championship Wrestling in North Point, Maryland at the Green Room at Sports 2000 before 400 fans: Ruckus b Champ Champagne, Teddy Stigma and Ryan McBride b The Headliners, Kimberly McDevitt b Angela, Danny Doring b Niles Young, Zachary Shane and Johnny Hardwick b The Ghetto Mafia and Teddy Stigma and Ryan McBride to win the Tag Team titles, Bruiser b Corporal Punishment in a Bar Room Brawl, The Rehobeth Beach Club b The Best Around, Adam Flash b Christian York by DQ, Corporal Punishment and Danny Doring and Adam Flash and Teddy Stigma and Ryan McBride b Bruiser and Niles Young and Christian York and Zachary Shane and Johnny Hardwick in a Street Fight. May 4, 2008 – Maryland Championship Wrestling in Dundalk, Maryland at the MCW Arena: JB and LK b Aden Chambers and Shawn Patrick, Bruiser b Danny Doring by DQ, The Ghetto Mafia b Ryan McBride and Teddy Stigma and Johnny Hardwick and Zachary Shane, ODB b Kylie Pierce, Josh Daniels and Ruckus b T.J. Cannon and Bruce Maxwell, Tim Donst and Drew Gulak b Ramblin Rich and Jimmy Jannetty, Champ Champaign b Earl the Pearl, “Cowboy” James Storm b Champ Champagne, Corporal Punishment and Balls Mahoney and Adam Flash and Danny Doring b Bruiser and Zachary Shane and Joey Matthews and Christian York. July 18, 2008 – Maryland Championship Wrestling – Shane Shamrock Memorial (Night 1) in in Baltimore, Maryland before 400 fans: Claudio Castagnoli b Delirious in a Qualifying match, The SAT (Jose and Joel Maximo) vs. Team MACKtion (T.J. Mack and Kirby Mack) ended in a Double Countout, Rhett Titus b Mitch Franklin and Pelle Primeau in a 3-WAY Qualifying match, Crowbar b Devon Moore in a Qualifying match, Danny Doring and Balls Mahoney b D.J. Hyde and Bruiser, The Holly Rollers (Jimmy Jannetty and Rambilin Rich w/Earl the Pearl) b [INSERT] and [INSERT], Josh Daniels b Champ Champagne w/Bob Star in a Qualifying match, Christian York w/Kim b Adam Flash in a Last Man Standing match, Christian York w/Kim b Adam Flash by Submission in a second fall, Joey Matthews b Ruckus in a Qualifying match, The Ghetto Mafia b The Hot Shots (Ryan McBride and Teddy Stigma) in a Ladder match to retain the MCW Tag Team titles. July 19, 2008 – Maryland Championship Wrestling – Shane Shamrock Memorial (Night 2) in in Baltimore, Maryland before 500 fans: Derek Frazier b Pelle Primeau and Ruckus and Devon Moore in a Last Chance Scramble Match to Qualify for the Shamrock Cup Finals, The RBC (Tyler Hilton and Zachary Shane w/Tara) b the RBC (J.B. and L.K. w/Noel), Mitch Franklin b Champ Champagne w/Bob Star, The Best Around b Stigma and McBride, Bruiser b Danny Doring by Submission in a Loser Leaves Town match, The Ghetto Mafia b Corporal Punishment and Adam Flash in a Falls Count Anywhere match, Christian York b Delirious, MCW champion Christian York vs.Ruckus ended in a No Contest, Derek Frazier b Rhett Titus and Crowbar and Josh Daniels and Joey Matthews and Claudio Castagnoli in a 6-WAY to win the 2008 Shamrock Cup. August 23, 2008 – Maryland Championship Wrestling – Summer Heat in Dundalk Maryland at the New Green Room: The Original RBC b The New RBC, Teddy Sigma and Ryan McBride and The Best Around in a 4 Way Elimination, Cobian b Steven Desire in 47 Seconds, Champ Champaign, Mich Franklin, The Maximo Brothers b Team Maction, Jade won the MarylandDivas.com Bikini Contest, Josh Daniels b Rhett Titus, The Brusier and Creed and Sydeswype b Corporal Punishment and Adam Flash and Kevin Nash by DQ, Derek Frazier and Ruckus b Joey Mathews and Chris York. September 5, 2008 – Maryland Championship Wrestling – Raven’s Kickoff in Canton, Maryland: Big Art b John Berg w/ Jimmy Starz, The Original RBC w/ Tara b Ryan McBride and Teddy Stigma, LK and Mickey Chuchiella w/ Maryland Divas b The Bruiser and Kelly Bell, Angela and The Baltimore Bully b Kylie Pierce and Chad Bowman. November 1, 2008 – Maryland Championship Wrestling – Monster Mash 2008 in Dundalk, Maryland at the New Green Room: Ryan McBride and Teddy Stigma b The SATs and The New RBC in a 3 Way Elimination match to become #1 Contenders for the MCW Tag Titles, Josh Daniels b Bonecrusher Sampson, Sugarmask b The Bruiser to become the #1 contender for the MCW Heavyweight title, Stevie Richards b Rhett Titus, Cobian b Joe Itel, Adam Flash b Dino Divine, Sabian b Derek Frazier to become the MCW Cruiserweight Champion, Ghetto Mafia b The Original RBC to retain the MCW Tag Titles, Christian York b Ruckus to retain the MCW Heavyweight Title. December 27, 2008 – Maryland Championship Wrestling – Holiday Hell in Dundalk, Maryland at the New Green Room before 500 fans: D.J. Hyde b Alex Colon, Bruiser b Greg Excellent, The Best Around b Adam Carelle and Tyler Veritas, Drew Gulak b Cole Calloway, Josh Daniels b Derek Frazier, Zachary Shane and Tyler Hilton b JB and LK, Sugarmask b Christian York, Bruiser b Balls Mahoney, Cobian b Adam Flash, The Best Around b Team Macktion, Sabian b Tim Donst, Ryan McBride and Teddy Stigma b The Ghetto Mafia in a Ladder match to win the MCW Tag Team titles. February 21, 2009 – Maryland Championship Wrestling – Anniversary Show in Dundalk, Maryland at the New Green Room: Link Kory b Caleb Conley, Cobian b Greg Excellent, Tyler Hilton and Zachary Shane b Adam Carelle and Taylor Veritas, Cabe Collway b Sean Patrick, JB b Rhett Titus, Bruiser and DJ Hyde and Dino b Sugarmask and Team Macktion (Kirby and T.J. Mack), The Rehobeth Beach Crew b Stevie Richards and Link Kory, Champ Champagne b Scotty Dreamer, Ryan McBride and Teddy Stigma b The Best Around, Jake Manning vs. Mike Lee ended in a No Contest, The Ghetto Mafia b Cole Calloway and Rhett Titus, Ruckus b Christian York in a Steel Cage match. April 11, 2009 – Maryland Championship Wrestling – in Dundalk, Maryland at the New Green Room: Cobian b Bobby Shields (replacing Cole Calloway, who was stuck in traffic) to advance to the finals of the MCW Rage TV Title Tournament, Team Macktion (Kirby and T.J. Mack) b The Harbor City Hit Squad, Bruiser b Shawn Patrick, Ruckus b Josh Daniels by DQ to retain the MCW Heavyweight title when Christian York interfered, DJ Hyde and Dino Divine b Team Mactkion (Kirby and T.J. Mack) to advance to the finals in the MCW Tag Team Title Tournament, Qeenan Creed b Joe Brooks and Adam Carelle in a 3-WAY to advance to the finals of the MCW Rage TV Title Tournament, Cole Calloway and Rhett Titus b Paul Jordane and Larry Legend to advance to the finals in the MCW Tag Team Title Tournament, Bruiser b Stevie Richards (sub for Sugarmask) in 36 seconds, Stevie Richards b Christian York, Van Hammer b Champ Champagne, Qeenan Creed b Cobian to win the MCW Rage TV title, DJ Hyde and Dino Divine b Cole Calloway and Rhett Titus to win the MCW Tag Team titles, Christian York won the Xtreme Rumble eliminating both Bruiser and Cobian at the same time (With this win, York gets an MCW Heavyweight Title shot against Ruckus at the Shamrock Cup). July 11, 2009 – Maryland Championship Wrestling – Shane Shamrock Cup 9 in Dundalk, Maryland at the New Green Room before 400 fans: Team MACKtion (T.J. Mack and Kirby Mack) b Ryan McBride and Teddy Stigma (By scoring the pinfall, Kirby Mack advanced to the finals of the Shamrock Cup), Cobian b The Bruiser, The Rehobeth Beach Crew (Tyler Hilton and Zachary Shane) b Sugarmask and Stevie Richards and Cole Calloway and Rhett Titus and D.J. Hyde and Dino Devine in a 4-WAY to win the MCW Tag Team titles, Qeenan Creed b Cloudy to advance to the finals of the Shamrock Cup, Aden Chambers b Ray Alexander to advance to the finals of the Shamrock Cup, Adam Carelle b American Marvel to advance to the finals of the Shamrock Cup, Kenny Dykstra b Cheech to advance to the finals of the Shamrock Cup, Ryan McBride b Stigma in a Wild Card Match to advance to the finals of the Shamrock Cup, Daffney b Roxie Cotton, “The Man Scout” Jake Manning b Caleb Conley, Ruckus b Christian York and Josh Daniels in a 3-WAY to retain the MCW Heavyweight title, Ryan McBride b Kirby Mack and Qeenan Creed and Aden Chambers and Adam Carelle and Kenny Dykstra in a 6-WAY Final to win Shamrock Cup. August 7, 2009 – Maryland Championship Wrestling – Summer Heat 2009 in Dundalk, Maryland at the New Green Room: Cole Calloway and Nui the Samoan Tsunami b DJ Hyde and Dino, Bruiser b Tom Brandi by DQ, Team Macktion b The Best Around and Sean Patrick and Aden Chambers in a 3-WAY Tag Team match, MCW Cruiserweight champion Ryan McBride b Teddy Stigma, Joe Brooks b Kindred, Adam Carelle b Qeenan Creed to win the MCW Rage title, Cobian b Pat Brink, MCW Heavyweight Champion Ruckus and Ron Simmons b MCW Tag Team champions Priveleged (Tyler Hilton and Zachary Shane) by DQ (After the match, a wild brawl ensued involving Joe Brooks, Teddy Stigma, DJ Hyde, Dino and Ryan McBride, Adam Carelle and Nui). November 6, 2009 – Maryland Championship Wrestling – Season’s Beatings in Dundalk, Maryland at the New Green Room: MCW Cruiserweight champion Ryan McBride b Qeenan Creed (After the match, Ryan and Adam Carelle had a wild pull apart brawl), Team Macktion (Kirby and T.J. Mack) b DJ Hyde and Sean Patrick (substituting for Dino), Josh Daniels b Pat (KENT) Brink, MCW Rage champion Adam Carelle b Rich Swann (Afterwards, Carelle and McBride brawled again, this time with a ladder being involved), Headbanger Mosh and Big Vito b The Harbor City Hit Squad, Bobby Shields and Joe Brooks b Fed Up (C Fed and G Fed), Goldthumb vs. Super Phoenix didn’t happen as Cobian came out and destroyed them both, MCW Tag Team champions Privileged (Tyler Hilton and Zachary Shane) b Nui Tofiga and Cole Calloway, Kent Brink b Ruckus to win the MCW Heavyweight title (Brink blasted the original challenger in this match, Cobian, in the aisleway before the match started and took his place. After the match, Cobian and Josh Daniels returned to the ring and helped Ruckus beat down Brink’s new manager Marcus K. Dowling). November 7, 2009 – Maryland Championship Wrestling – in Dundalk, Maryland at the New Green Room before 400 fans: Queenan Creed b Andrew Ryker and Chad Austin in a 3-WAY, Jim Christian b Eagle, Beachboy Vinnie and Jammin Joe b Drew Pain and C-Fed, Duane Gill and Barry Hardy b The Holy Rollers, Headbanger Mosh b Bob Starr, Lucifer b Cat Burglar, Kent Brink b Ronnie Zukko, Ricky Blues b Agent Orange, Ruckus b Ryan McBride, Steve Camruy and Joe Thunder b The Harbor City Hit Squad, Dave the Wave McAllister won a Battle Royal. April 3, 2010 – Maryland Championship Wrestling in Dundalk, Maryland before 400 fans: Ryan Slater and Joe Gacy b Harbor City Hit Squad and Joel Maximo and Joe Itel in a three-way, Rich Swann b CA Elliot, Ricky Blues Jr. b Ricky Blues, Fed Up b Ronnie Zukko and Cole Calloway in a tornado match, Ruckus b Amazing Red, Tom Brandi b Nui Tofiga in a strap match, Ryan McBride and Cobain b Adam Cole and Tyler Hilton, Team Macktion b Holy Rollers, Kent Brink b Josh Daniels. July 31, 2010 – Maryland Championship Wrestling – Shane Shamrock Memorial Cup in Dundalk, Maryland before 600 fans: Ryan McBride b Pat Brink in a 1st Round match and also won the MCW Heavyweight title, Rich Swann b Ruckus in a 1st Round match, Sami Callihan b Scott Reed in a 1st Round match, Teddy Stigma b Joe Itel in a 1st Round match, Tommasso Ciamapa b Bobby Shields in a 1st Round match, Christian York and Joel Maximo b The Best Around, Ronnie Zukko and Cole Calloway and Kevin Eck (Baltimore Sun wrestling writer) b Fed Up and Peter Schmuck (Baltimore Sun reporter who wrote a column insulting wrestling fans), The Holy Rollers b C.A Elliot and Nui Tofiga and Da Hit Squad and Team Macktion in a 4-WAY to win the Tag Team titles, Tommy Dreamer and Cobian b Adam Cole and Tyler Hilton, Mickie James b Mia Yim, Christian York b Ryan McBride and Sami Callihan and Teddy Stigma and Tommasso Ciampa and Rich Swann to win the Shamrock Cup. October 9, 2010 – Maryland Championship Wrestling in Joppatowne, MD before 300 fans even with a number of former WWE names: Holy Rollers b Ronnie Zukko, Cobian b A.C. Sabotage, Alexander James b Matt Wylde, Fed Up b Hell Cats, Mickie James won three-way over Melissa Coates and Mia Yim, Hurricane Helms and Nui Tofiga b Hit Squad, Ryan McBride b Teddy Stigma-DQ, Ryan McBride and Cobian and Christian York and Carlito b Holy Rollers and Teddy Stigma and Tyler Hilton. September 10, 2010 – Maryland Championship Wrestling – Rally in the Alley in White Marsh, MD before nearly 1,000 fans (free show in conjunction with a Baltimore Ravens rally): Cobain b Teddy Stigma, Holy Rollers b Hit Squad, Chace Rawlings won Battle Royal, Nui Tofiga b C.A. Elliot in a loser leaves MCW match, Justice b Steve Diaz. Mini wrestler Big Boy Birch, who weighs 250, was not allowed to wrestle by the commission due to heath concerns. October 30, 2010 – Maryland Championship Wrestling in Dundalk, MD before 400 fans: Ronnie Zukko and Cole Calloway b Fed Up, Max Thrasher and Mike Khoury b Brett Young and Jimmy Jannetty, Cobian b Adam Cole, Bob Starr and Buzz Stryker b Ruckus and Cat Burglar, Holy rollers b Nui Tofiga and Alexander James, Rip Sawyer b Ricky Blues, Christian York b Tyler Hilton, Rip Sawyer won Legends Battle Royal, Ryan McBride b Steve Corino. Next show is 1/1 with McBride vs. York for the MCW title. January 1, 2011 – Maryland Championship Wrestling in Dundalk, MD before 300 fans: Ruckus b Devon Moore, Jimmy Cicero b Bobby Shields, Ronnie Zukko b Cole Calloway, C-Fed b Ramblin Rich, Nui Tofiga b Earl the Pearl, James Anthony b Drolix, Mia Yim b Melissa Coates, Josh Daniels b Alexander James, Cobian b Tyler Hilton, Ryan McBride b Christian York. March 19, 2011 – Maryland Championship Wrestling in Dundalk, MD before 400 fans: Kirby Mack b Aden Chambers, Nui Tofiga b Alexander James, Sami Callihan b Rich Swann, Josh Daniels b Kindred (Kindred suffered a broken jaw and a stinger after a clothesline and brainbuster combination and the show had to be stopped for 20 minutes while he was stretchered out and taken to the hospital), Da Nu Bloodz b Hellcats, Cobian b Zachary Shane, Drolix b James Anthony, Fed Up and JP Callhan b Holy Rollers and Ronnie Zukko, Tyler Hilton NC Ryan McBride. April 8, 2011 – Maryland Championship Wrestling in Dundalk, MD before 500 fans: Kirby Mack b Aden Chambers, Da Nu Bloodz b Drolix and Napalm Bomb, Nui Tofiga b Zachary Shane, Ronnie Zukko b Nathan Crown, Boogeyman b Alexander James, Josh Daniels b Vordell Walker, Ryan McBride b Bruiser, Holy Rollers b Fed Up, Tyler Hilton b Cobian, Fed Up and Cobian b Holy Rollers and Tyler Hilton. May 19, 2011 – Maryland Championship Wrestling in Baltimore before 125 fans: Napalm Bomb b Spoiler II, Sami Callihan b Alexander James, Black Wallstreet b Fed Up, Aida Marie b Arlene, Bruiser and Ronnie Zukko b Ryan McBride and Nui Tofiga, Oliver Grimsley b Zachary Shane, Country Strong b Holy Rollers, Cobian b Tyler Hilton. February 25, 2012 – Maryland Championship Wrestling in Dundalk, MD: Fed Up b Foreign Exchange, Nui Tofiga b Hoss Hagood, Chris Clow b Alexander James by DQ, Adam Flash and Tom Brandi b Jimmy Cicero and Naplam Bomb, Ryan McBride b Ricky Reyes, Christian York b Ronnie Zukko, Black Wallstreet b Ghetto Mafia, Tyler Hilton won over Earl the Pearl and Rich Myers.